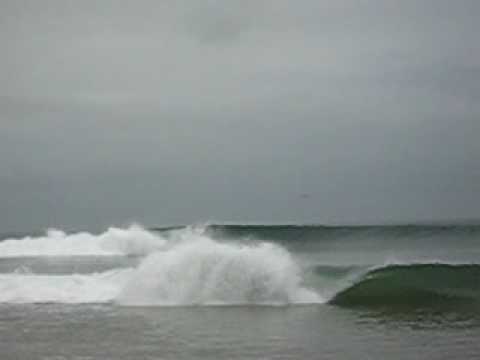 From the cold waters of Namibe provinvce, to the hot summer-waters around Luanda, Angola has a big surfing potential. The coast is, however, recessed relative to the main north-south axis of the west-african coastline. Swell often moves up and past Angola with coming ashore - which can get a little frustrating. Surfers heaven? indeed a country which could be a major destination, but is instead ravaged by a civil-war hangover from the cold-war. Other legacies include in-built state paranoia and huge bureaucracy, so casual visits for a weekend of uncrowded left-hand point breaks are not worth the hassle. However, if you are lucky enough to live here, you'll find an active surfing community (of about 15 people and two dogs), and some great VERY uncrowded waves - enjoy our photos!! ad - Thanks for your information, it was really very helpfull..
Compro prancha de surf - Boa tarde, alguem tem ou sabe de uma prancha para vender? lodges at Cabo Ledo? - Hola, I am travelling to Luanda in January for work and I also want to take the oppertunity to catch some waves at Cabo Ledo (or another nearby spot not to far from Luanda). I prefer to stay a weekend nearby Cabo Ledo. Does anybody know if there are nearby hostels or lodges to stay overnight?